NEW DELHI (Reuters) – Prime Minister Narendra Modi handpicked a trusted bureaucrat, little known outside India’s financial circles, to spearhead a radical move to abolish 86 percent of the country’s cash overnight and take aim at the huge shadow economy. Hasmukh Adhia, the bureaucrat, and five others privy to the plan were sworn to utmost secrecy, say sources with knowledge of the matter. They were supported by a young team of researchers working in two rooms at Modi’s New Delhi residence, as he plotted his boldest reform since coming to power in 2014. When announced, the abolition of high-value banknotes of 500 and 1,000 rupees (£5.9 and £11.78) came as a bolt from the blue. The secrecy was aimed at outflanking those who might profit from prior knowledge, by pouring cash into gold, property and other assets and hide illicit wealth. Previously unreported details of Modi’s handling of the so-called “demonetisation” open a window onto the hands-on role he played in implementing a key policy, and how he was willing to act quickly even when the risks were high. 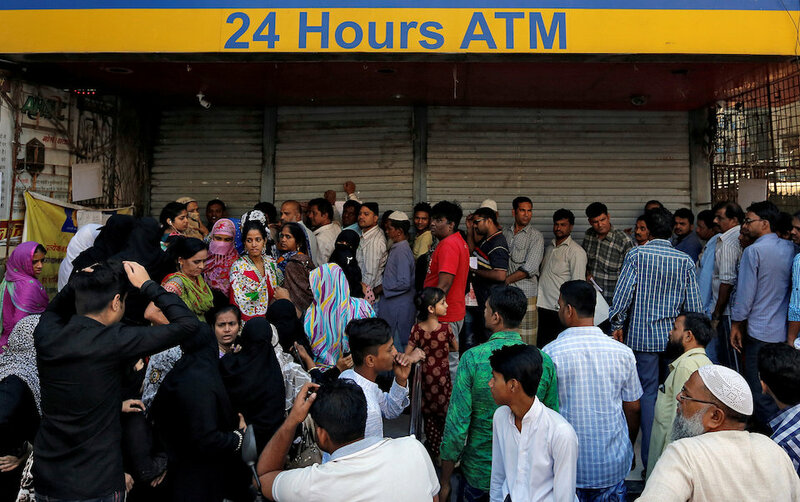 While some advocates say the scrapping of the banknotes will bring more money into the banking system and raise tax revenues, millions of Indians are furious at having to queue for hours outside banks to exchange or deposit their old money. Labourers have also been unpaid and produce has rotted in markets as cash stopped changing hands. Not enough replacement notes were printed in preparation for the upheaval, and it could take months for things to return to normal. With India’s most populous state, Uttar Pradesh, holding an election in early 2017 that could decide Modi’s chances of a second term in office, there is little time for the hoped-for benefits of his cash swap to outweigh short-term pain. Modi has staked his reputation and popularity on the move. “I have done all the research and, if it fails, then I am to blame,” Modi told a cabinet meeting on Nov. 8 shortly before the move was announced, according to three ministers who attended. To F&O’s supporters, thank you. Newcomers, welcome to reader-supported Facts and Opinions, employee-owned and ad-free. We will continue only if readers like you chip in, at least 27 cents, on an honour system. If you value our work, contribute below. Find details and more payment options here. Overseeing the campaign, with support from the backroom team camped out at Modi’s sprawling bungalow in the capital, was Adhia, a top finance ministry official. The 58-year-old served as principal secretary to Modi from 2003-06 when he was chief minister of Gujarat state, establishing a relationship of trust with his boss and introducing him to yoga. Colleagues interviewed by Reuters said he had a reputation for integrity and discretion. 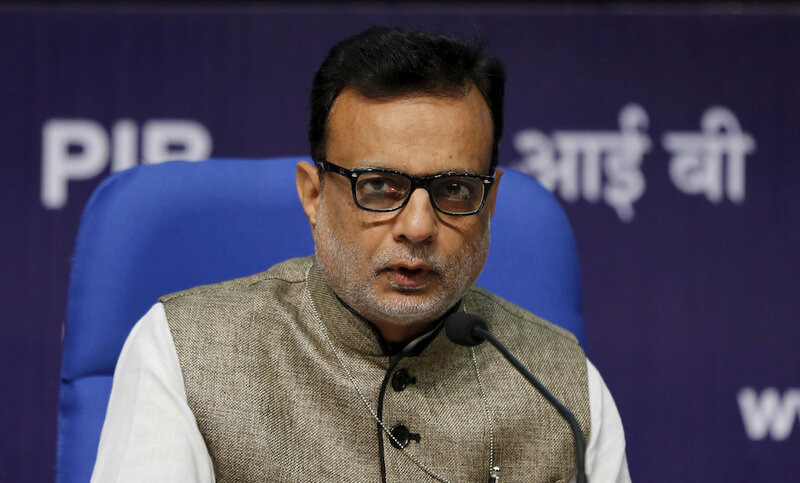 Adhia was named revenue secretary in Sept. 2015, reporting formally to Finance Minister Arun Jaitley. In reality, he had a direct line to Modi and they would speak in their native Gujarati when they met to discuss issues in depth. In the world’s largest democracy the demonetisation was revolutionary: it called into question the state’s promise to “pay the bearer” the face value on every banknote. At a stroke, Modi scrapped money worth 15.4 trillion rupees (£181.5 billion), equal to 86 percent of cash in Asia’s third-largest economy. The idea is backed by some economists, although the speed of its implementation is widely seen as radical. “One is never ready for this kind of disruption – but it is a constructive disruption,” said Narendra Jadhav, a 31-year veteran and former chief economist of India’s central bank who now represents Modi’s party in the upper house of parliament. Modi, in his TV address to the nation, cautioned that people could face temporary hardship as replacement 500 and 2,000 rupee notes were introduced. Calling for an act of collective sacrifice, he promised steps to soften the blow for the nine in 10 Indians who live in the cash economy. The boast harked back to Modi’s election vow to recover black money from abroad that had resonated with voters fed up with the corruption scandals that plagued the last Congress government. Yet in office, he struggled to keep his promise. Over more than a year, Modi commissioned research from officials at the finance ministry, the central bank and think-tanks on how to advance his fight against black money, a close aide said. He demanded answers to questions such as: How quickly India could print new banknotes; how to distribute them; would state banks benefit if they received a rush of new deposits; and who would gain from demonetisation? The topics were broken up to prevent anyone from joining the dots and concluding that a cash swap was in the offing. Under Adhia’s oversight, the team of researchers assembled and modelled the findings in what was, for it, a theoretical exercise. It was made up of young experts in data and financial analysis; some ran Modi’s social media accounts and a smartphone app that he used to solicit public feedback. Yet for all the planning, Modi and Adhia knew they could not foresee every eventuality, and were willing to move swiftly. The announcement caused chaos, with huge queues forming at banks when they reopened after a short holiday. New 2,000 rupee notes were hard to come by and barely any new 500 rupee notes had been printed. India’s 200,000 cash dispensers could not handle the new, smaller, notes and it would take weeks to reconfigure them. Filling ATMs with the 8 trillion rupees in new banknotes that the finance ministry reckons are needed to restore liquidity to the economy is even trickier. In a best-case scenario, in which India’s four banknote presses churned out new 500 and 2,000 rupee notes designed to replace the abolished ones, it would take at least three months to hit that target. Secrecy was paramount, but clues had been left. Back in April, analysts at State Bank of India said that demonetisation of large-denomination notes was possible. The Reserve Bank of India, the central bank, also disclosed in May that it was making preparations for a new series of banknotes that were confirmed in August when it announced it had approved a design for a new 2,000 rupee note. The printing presses had only just started turning when the media finally started to run with the story in late October. “The plan was to introduce it around Nov. 18, but there was a clear sign that it could get leaked,” said one person with direct knowledge who, like others interviewed by Reuters, asked not to be named due to the sensitivity of the matter. Some officials in the finance ministry had expressed doubts about scrapping high-value notes when the idea came up for discussion. They now feel resentment at the secrecy in which Adhia rammed through the plan on Modi’s orders. They also say the plan was flawed because of a failure to ramp up printing of new notes ahead of time. Other critics say the Adhia team fell prey to a form of “group think” that ignored outside advice. Facts and Opinions is a boutique journal of reporting and analysis in words and images, without borders. Independent, non-partisan and employee-owned, F&O is funded by our readers. It is ad-free and spam-free, and does not solicit donations from partisan organizations. To continue we require a minimum payment of .27 for one story, or a sustaining donation. Details here; or donate below. Thanks for your interest and support.